Louisvillians have been watching and waiting for Kevin Grangier’s (Village Anchor, Le Moo) new spot in Holiday Manor since it was announced in 2017. 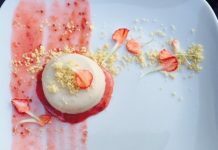 The Italian restaurant is set to open in August, and the restaurateur has been searching for someone to fill the title role. 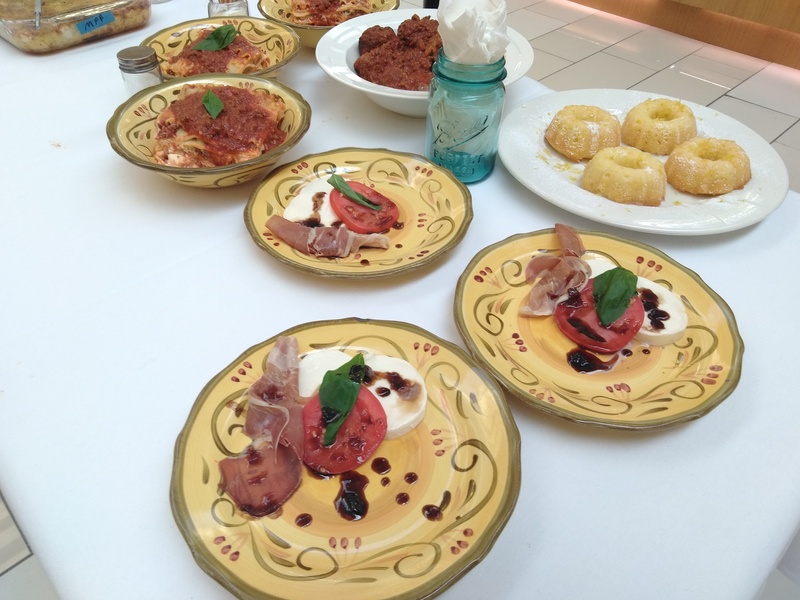 Grassa Gramma loosely means “the plump grandmother,” and Grangier sent out the call for Italian grandmothers to come and present their cooking at Oxmoor Center last Saturday, June 30. 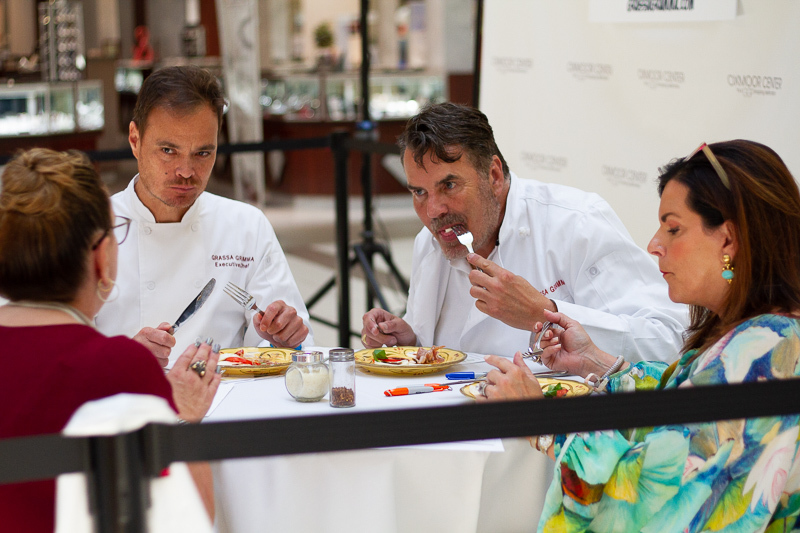 A small gathering of Italian women sat chatting in English and Italian in the main court of the mall as they waited to go before the judges panel, which consisted of Grangier, design consultant Lesa Buckler and Executive Chef Robert Rice. The area was roped off with a backdrop featuring the Grassa Gramma logo, and Frank Sinatra, old school jazz and other iconic Italian music drifted through the air as the women took turns setting their food out on preparation tables, each hoping to convince the judges that they should be the official grassa gramma taster and greeter for the restaurant opening. When I arrived, Cyndi Heried (Perfetto) was arranging three bowls around bread and seasoning: an Italian vinegar and oil salad, Italian Potato Salad, and an Italian tomato salad. 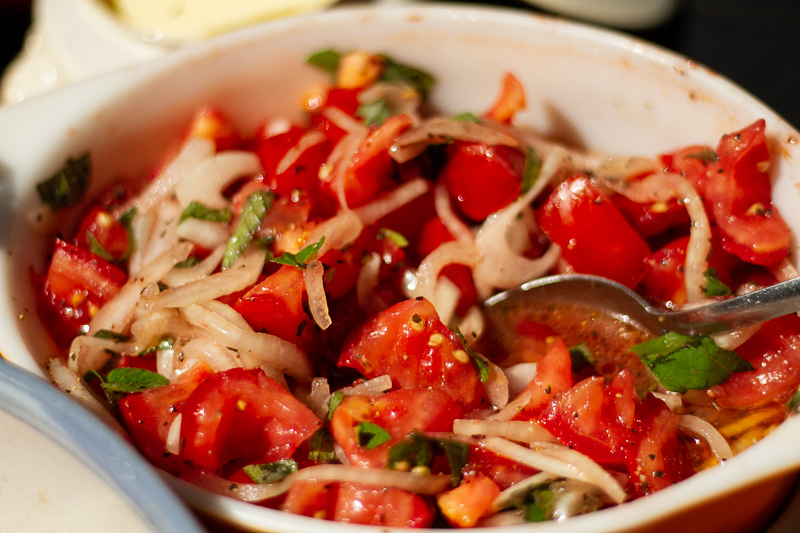 She encouraged me to dip a piece of bread into the juices of the Italian tomato salad, calling it sugi (soo-gee). I called it delicious. While some women arrived carrying a dish or two in bags like ‘s Pizza Margherita, Ellenrosaria Buonpastore went all out with a cart full of ceramic dishware, napkins, utensils and dishes like a caprese salad with a fig and balsamic reduction, prosciutto cured 100 days, risotto mozzarella, a 6-layer lasagna, and lemon curd bundt cake. She told me that the judges were comfortable to speak with, and they wanted to know what it was like to be Italian, and what it was like being raised Italian. Despite the competitive nature of the event, the mood was festive for some, who stood clapping to the Italian music and chatting with each other while others sat quietly watching the activity. A winner has not yet been announced.